Last year I made the boys Minion Costumes and they turned out amazing (in my opinion). This year I had high hopes of making them Lego Men costumes. I had a pattern, an idea, and basically everything I needed to make them. The one thing I was lacking was “time.” The more I thought about making their costumes, the more daunting it became. With only seven days left before Halloween, I realized there was absolutely NO WAY I was going to have time to make their costumes. When I explained to the boys I wasn’t going to have enough time to make them a costume this year, they didn’t mind at all! I was shocked! Trevin & Easton ran downstairs, grabbed the Halloween box full of costumes, and each picked one out. 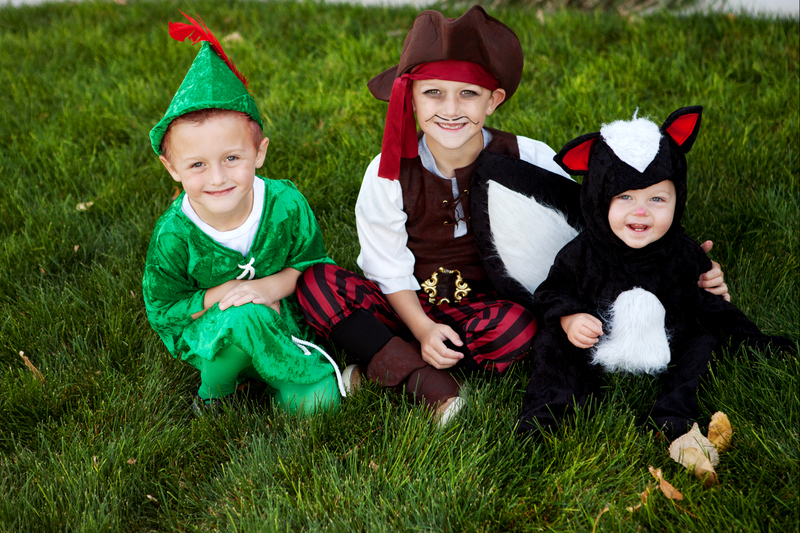 However, the pirate costume Trevin wanted was a size 4 and the Peter Pan costume Easton wanted was a size 6. Basically they both switched costumes from two years ago. Somehow, the Pirate Costume worked for Trevin and he yelled, “Yes! Now I can be Captain Hook.” And Easton was thrilled to be Peter Pan. 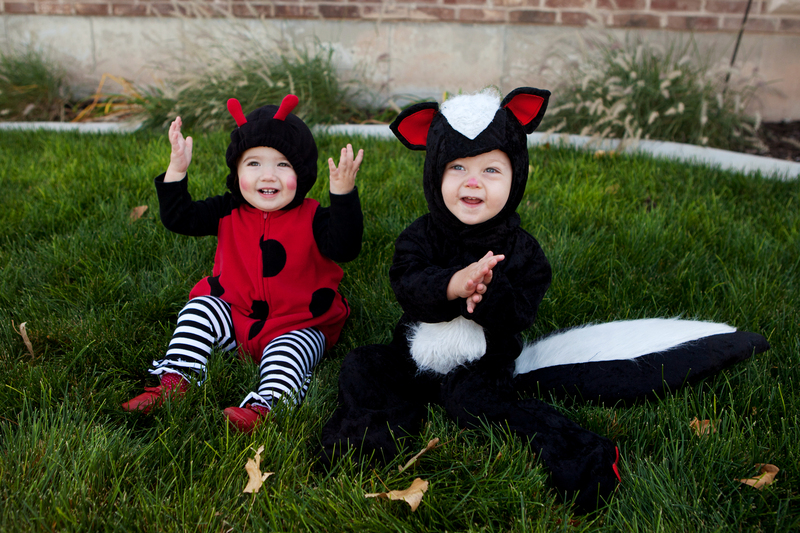 I suddenly realized it would be cute to have Cohen be one of the “Lost Boys” and searched for a skunk costume. Miraculously, my sister-in-laws friend had the cutest skunk costume and said we could borrow it! I was thrilled! Three costumes. Three Hours. Done.